For Parisa Behzadi, Lead Teacher at BakerRipley’s New Neighbor School, the first few days of school are always her favorite. The classroom literally becomes a microcosm of the world. “You’ll have a student who speaks Arabic, one who speaks Spanish and another that speaks Hindi interacting with one another with very little English and that’s truly a beautiful process to see,” says Parisa. 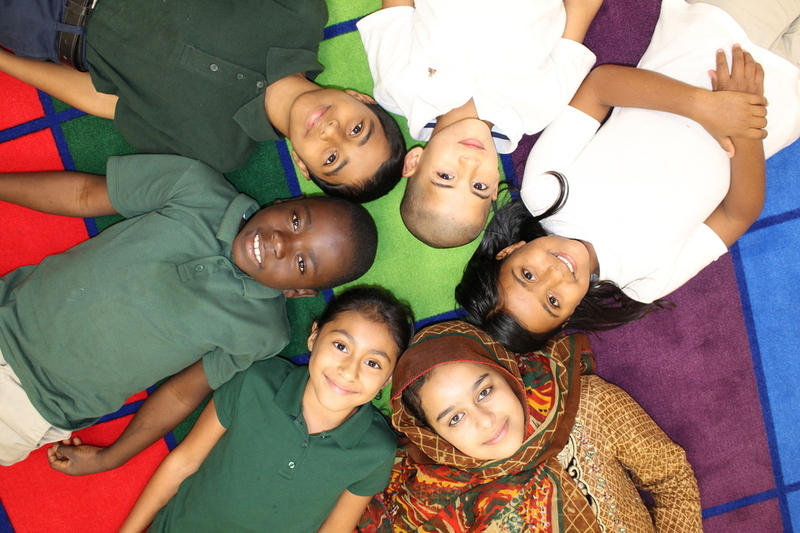 As one of the only elementary newcomer school in the area, BakerRipley works closely with refugee resettlement agencies to leverage resources and address the gap of newcomer education. In a city that is home to a large population of recent immigrants, New Neighbor is one of the only programs tackling the complex challenge of helping K-5th refugee and recent immigrant students learn the English language while getting them ready for school. “For a lot of our students this is the first time they are stepping into a school setting and we want to make sure they feel safe and loved in a fun environment where they are also learning,” explains Parisa. Houston received 1,869 refugees in 2015 and is also home to a large population of recent immigrants. Nearly 55,000 immigrants arrived in Houston between 2010 and 2014, of which close to 5% (2,700) are children aged 5-11 years old. New Neighbor School opened its doors in 2011 and has served more than 100 predominantly refugee and immigrant families. During the 2015-16 school year students came from places like Iraq, Congo, Egypt, Italy, Honduras, Mozambique, Cuba, Mexico, Bangladesh and Ethiopia to name a few, representing an estimated 19 countries. Based on recent analysis of existing programs and population changes in the Houston area, the school saw a need to expand its capacity to include another classroom and teacher, effectively doubling the size of its student body. Through the expansion and success of the program, BakerRipley hopes it serves as a model for Houston in making resources available for newcomer students and their families. The school currently shares some facilities with the Baker-Ripley elementary school which helps for a smooth transition into regular classes. It’s also within walking distance to the Baker-Ripley community center, which provides an array of services and connection opportunities for students and their families. “I always say this classroom represents Houston. 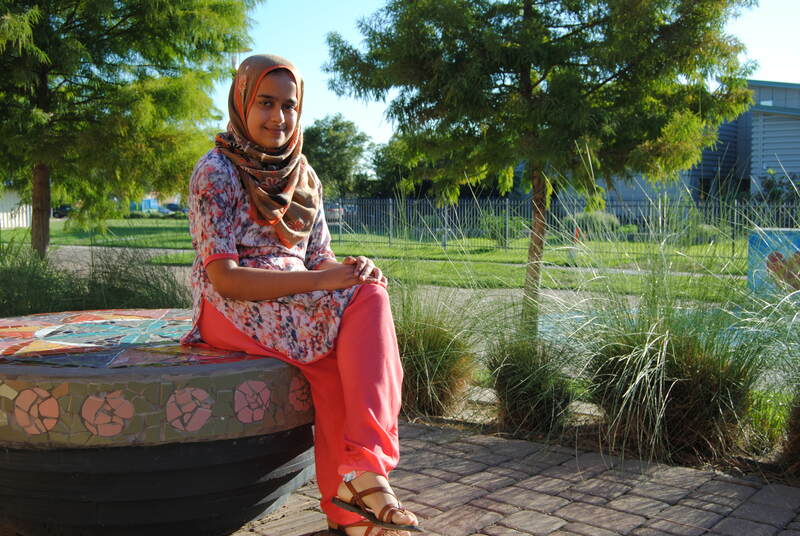 We’re open to all kinds of people and that’s why I love New Neighbor and why I love Houston,” affirms Parisa. Meet Zuhal, a New Neighbor student who dreams of becoming a doctor. Special thanks to the school’s partners: Promise Credit Union, Southwest Senior Citizens, Houston Fire Department, Baker-Ripley Community Center, and the City of Houston. Get involved or make a donation to help Houston youth get an education.